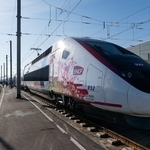 In partnership with international high-speed train service TGV Lyria, Eurostar passengers will now be able to travel from London to Geneva in just over 6 hours as Eurostar connects to Geneva via Lille. With four daytime services each week, the new Geneva service comes as a result of research based finding from Eurostar passengers showing a preference for Geneva as a destination. For those wishing to venture further, Geneva offers passengers an opportunity to connect with many more popular destinations in Switzerland, including the famous Eiger cog wheel mountain railway, Montreaux for the annual Jazz festival and the glitzy resorts of Davos and Gstaad. The new Swiss service will be followed by the refurbishment of Lille Europe station designed to significantly increase the capacity of the Eurostar terminal in order to accommodate growth in the number of connecting passengers. 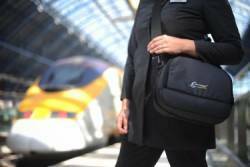 The new look Eurostar terminal will also be unveiled next year. Return fares start from £116. For more information or to book Eurostar tickets visit www.eurostar.com or call the Eurostar contact centre on 08432 186 186.